What is U3A? The University of the Third Age – a world-wide organisation which encourages and enables older people, no longer in full-time employment, to help each other share their knowledge, skills, interests and experience. The U3A celebrates the capabilities and potential of older people. It acknowledges their value to society. It aims to help members discover new horizons, benefits and enjoyment in learning. It isn’t about formal classes, with qualifications, but about providing opportunities for members to get together to learn, share and enjoy things that interest them. What do we do? The life-blood of a U3A is its interest groups. We have 24 groups, usually meeting in members’ homes, where you can take up new interests, make new friends, and have fun. 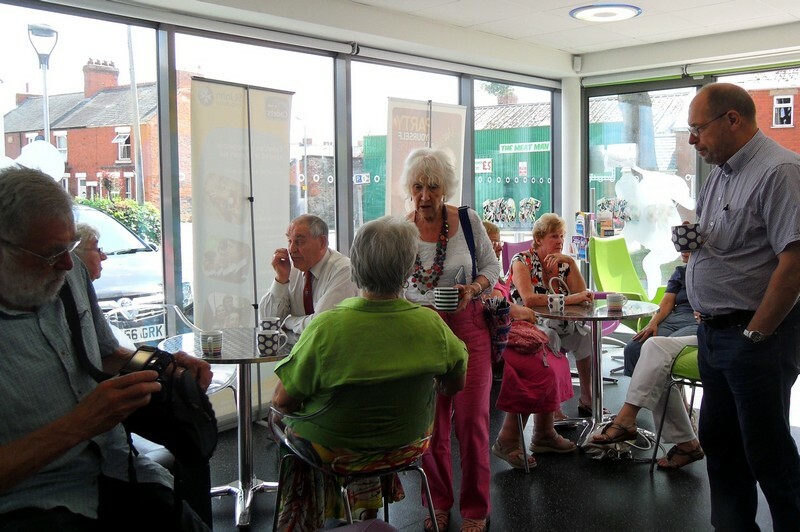 On the first and third Wednesday of each month everyone gets together at the Oswestry Borders U3A meetings at The Centre in Oak Street Oswestry. We start at 1.45 for 2 p.m. We have a talk from a visiting speaker on the first Wednesday, and different activities for the Members’ meeting on the third Wednesday. Refreshments are provided. All members are asked to lend a hand to keep our self-help, self-governed organisation flourishing. Can I attend? You are welcome to visit two group meetings of your choice or two speaker/member meetings to see for yourself before making any commitment to join. What does it cost? Yearly membership, renewed in April, is £15. For those who join from 1st July onward it’s £12, those joining from 1st October onwards pay £9 and those joining from 1st January onwards pay £6. There is a £1 charge for each meeting (refreshments included). Oswestry has two U3As. Fully paid-up members of Oswestry Borders U3A or Oswestry U3A can join the second U3A as an Associate Member for only £5. This combined £20 fee gives members access to twice as many meetings and the opportunity to choose from some 70+ Interest Groups. Do you do anything else? We also arrange outings during the year as well as social events. Our Third Age Trust membership number is 957/935/13.